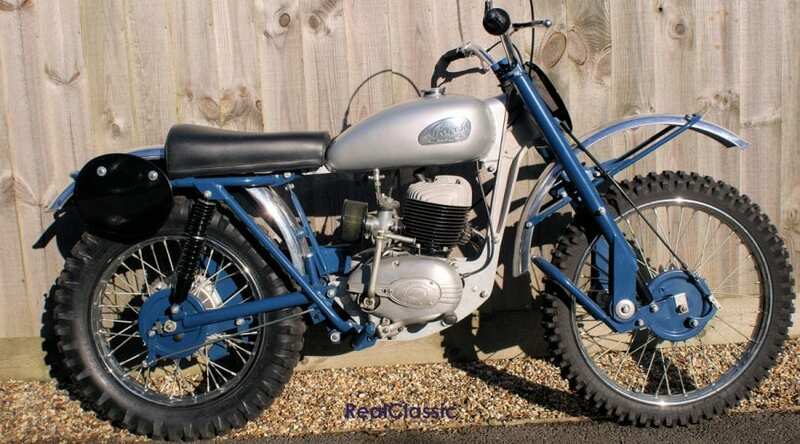 Owner Colin Sparrow knew exactly what he wanted when he sought out this immaculate, fully-restored 1961 24SCS Hawkstone. That’s no surprise: Colin should have more than half a clue as he’s an acknowledged expert on the marque, stalwart of the Greeves Riders’ Association and author of ‘Greeves – The Complete Story’ to boot. Colin already has one Greeves for road-riding: the Hawkstone was bought to fulfil an ambition to own a showstopper. Indeed, it is very much admired at events and has claimed several concours trophies including the Best Competition Machine award at the Stafford Show. ‘It appeals to me in aesthetic terms,’ says Colin. ‘I just love the way it looks.’ That shows just how far Greeves developed their unusual off-roaders in a relatively short space of time. 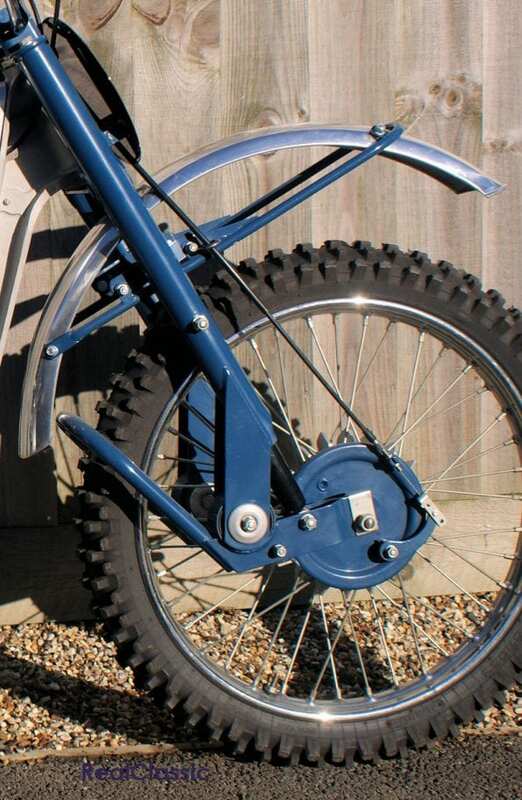 The prototype Greeves two-stroke certainly raised eyebrows a decade earlier and was described by historian Don Morley as ‘probably the most spindly, ugly motorcycle the British public had ever seen’! However, Bert Greeves’ determination to follow his own path rapidly produced a competitive product and Greeves secured their first ISDT gold medal in 1954. 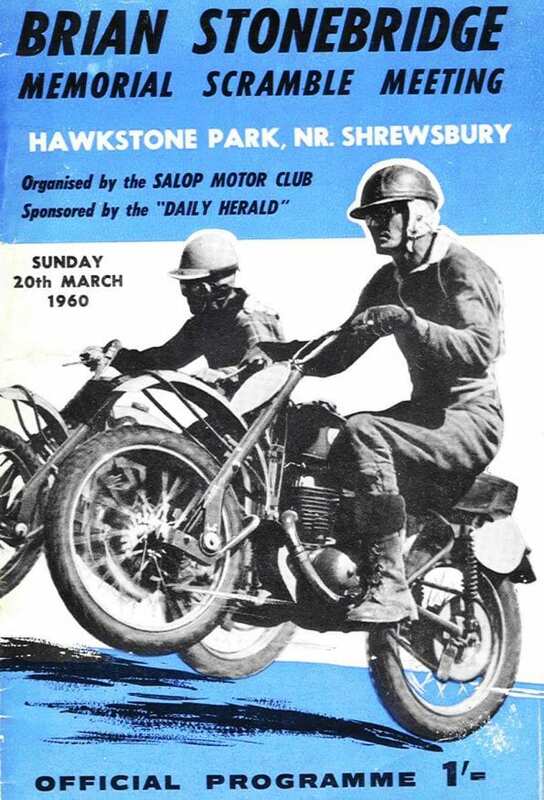 Brian Stonebridge, previously of BSA, brought great expertise and enthusiasm to the company in 1957 and piloted a 197cc to triumph at the Hawkstone track, seeing off stiff competition from beefy four-strokes Beesas ridden by the world’s best works riders. 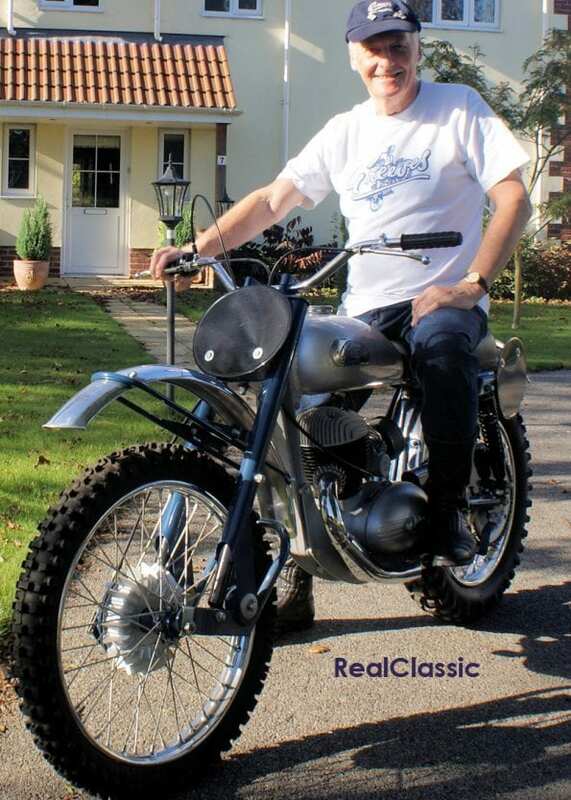 Hence the Hawkstone model was introduced to celebrate Stonebridge’s success – which Dave Bickers continued in 1960 aboard a 247cc version, winning the European 250 championship. 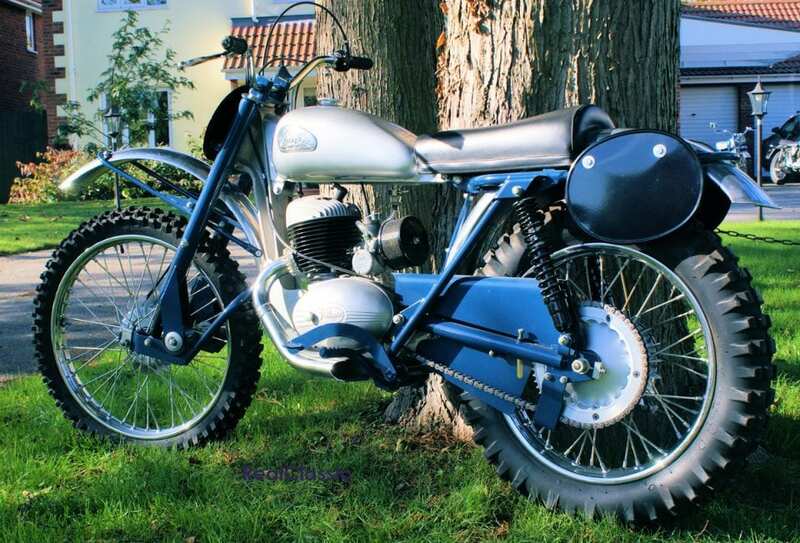 Initially the Hawkstone was powered by the Villiers 9E single-cylinder motor, then it adopted the 34A 246cc Villiers engine for 1960 to create the 24SCS scrambler, listed alongside the popular ‘Scottish’ trials model. But, unusually for an old bike, the engine is hardly the most interesting aspect of this machine. No, your eye should be inexorably drawn to Greeves’ impressive and innovative sand-cast silicon-aluminium alloy frame with its massive steering head and that stonking great front I-section front down ‘tube’ which supports the engine in flanged, light-alloy castings. By now you may have guessed that Greeves had their own aluminium foundry, which enabled this relatively small company to create a chassis with a better strength-to-weight ratio than that of tubular steel. Their method of securing and damping the front wheel is equally unconventional: it’s held by short leading links, and pivots on Metalastik rubber-in-torsion, damped by Girling units. Any concerns about this set-up were soon dismissed by the firm’s competition success, and roadtesters soon reported excellent performance on green lanes and rough roads: ‘proof that the front suspension was doing a fine job on rough surfaces was provided by the mudguard which could be seen bobbing up and down like a cork in choppy water’ said one 1960’s rider. To cope with the increased power of the 250 engine which output 19bhp, Greeves revised the SCS frame for 1960. The steel top tube grew in diameter to 38mm, the steering head itself was beefed up and taper roller bearings fitted instead of ball races. A stronger rear subframe was installed at the back with a widened swinging arm to squeeze in a more chunky 4.00-inch section rear tyre. The seat height was lowered to facilitate firm footing as required. The brakes were secured more strongly with the front brake plate bolted to the leading link assembly. Meanwhile, the gearbox was also uprated for the bigger Hawkstone with stronger steel for the gears and shafts, a new ratchet and pawl selection mechanism and changed tooth profile to improve the contact area. The gearbox could run slower than on the 197cc machines, which meant the rear sprocket on the 250s could be reduced from 70 to 60 teeth. Just one year later the Hawkstone was joined by an all-out race replica, the 24MCS Moto-Cross Special with Greeves’ own design alloy cylinder barrel, chrome bores and go-faster goodies. The single-purpose MCS was the ultimate 250 of its class but it cost a monster 25% more than the more accommodating SCS, which retailed new for £199. The Hawkstone remained a ferociously competitive scrambler and extremely popular among clubman riders until it was superseded in 1963. Don Morley reckoned that Greeves were ‘never built down to a price’ and that tradition for robust construction means that many are in good nick today. However, as owner Colin explains about Hawkstones in general; ‘It’s a competition bike, so inevitably they’re always modified and abused. It’s in the nature of the beast.’ His own machine has retained an unusual degree of its originality, even down to an intact timing side cover. ‘Most have been cut away to improve access to the clutch cable,’ says Colin. So you can expect to find examples up for sale which have been substantially modernised and upgraded: if you do want to compete then check what modifications are acceptable with the Pre-65 Moto-Cross Club. 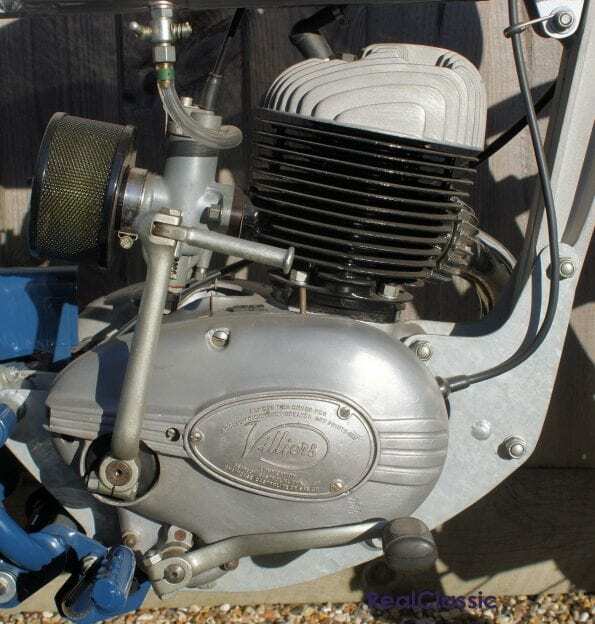 Villiers engines are none too tricky to maintain or indeed replace, and many specials have been created with four-stroke engines squeezed into the Greeves’ chassis. 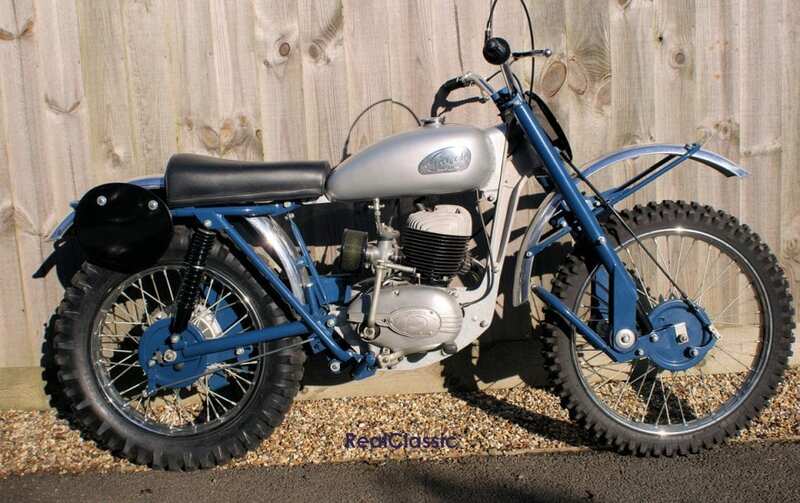 Don’t confuse the 24SCS single with the twin-cylinder 2T 24SAS model, which was also named ‘Hawkstone’ but is considerably less desirable or enjoyable to ride. Ideally you might find a Hawkstone in green-lane trim, road-registered with a daytime MoT and some kind of brake light and silencing. It should be good for 50mph on the road and would just need tweaks to the sprockets and footrests to start competing.